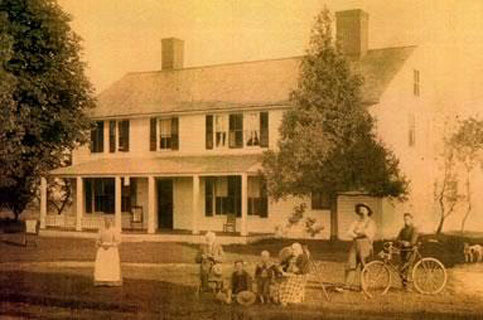 In 1781, Eliza Norton, at the age of 19, built the Norton Tavern at the top of the hill on Route 66 in Westhampton. He reportedly built the inn for his bride. The front upstairs of the house was an open dance hall. There was a fiddler's step built in the middle of the hall from where the music emanated. The Tavern was on the route of an old stage coach that guests would use for their travels. The top of the hill was a good spot for the horse to stop for a rest and water. 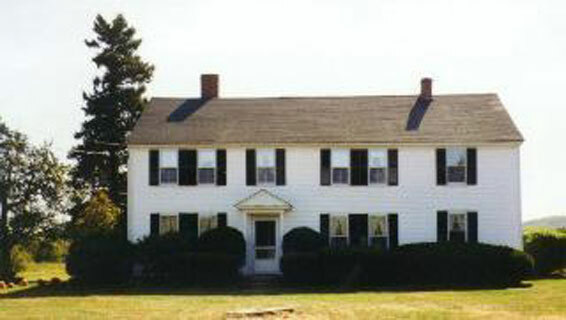 In 1860, Warner Bartlett bought the Norton Tavern and renamed if Outlook Farm. He ran the farm until 1920 when Will Fiske bought the homestead. Will Fiske started peddling his farm products though the valley in the 1930's and 40's. He became well known for his chickens, produce and Outlook Farm sausage. In 1962, Dave and Mary Lee Morse bought the farm from Will Fiske to raise their family and work the land. Dave had worked summers on a dairy farm while growing up and Mary Lee, who knew little about farming, was enthusiastic. Together, they made the commitment to plunge into what would be their lifestyle for the next 45 years. They cleared land, fixed outdated machinery, planted fruits and vegetables, raised cows and hogs, restored their home and waited on customers at their roadside stand. Though the days were long, they discovered country people had their own form of entertainment. Sugar eats, husking bees, kitchen dances and tin panning, to name a few, were great fun and a good excuse to socialize. In January of 1994, Dave and Mary Lee turned the farm over to their eldest son, Bradford Morse, and his wife Erin, who will carry on the Outlook Farm tradition. Mary Lee continues to help cook and bake for the restaurant and run the Bed and Breakfast in the farm house. It's all in a days work.